The Reds kept the home team scoreless in the second half and have secured their third consecutive win. 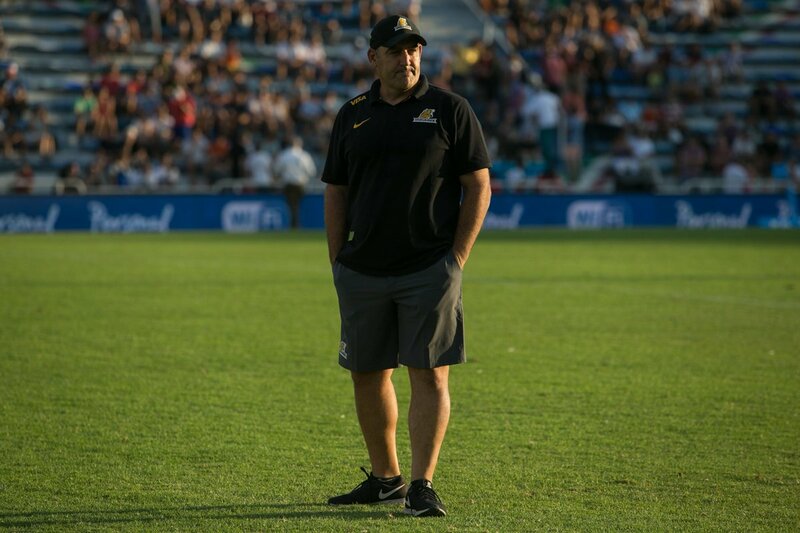 For the Jaguares, they will regret many lost opportunities close to the line and a high error count. Ben Lucas kicks the ball into touch and the Reds have the win. 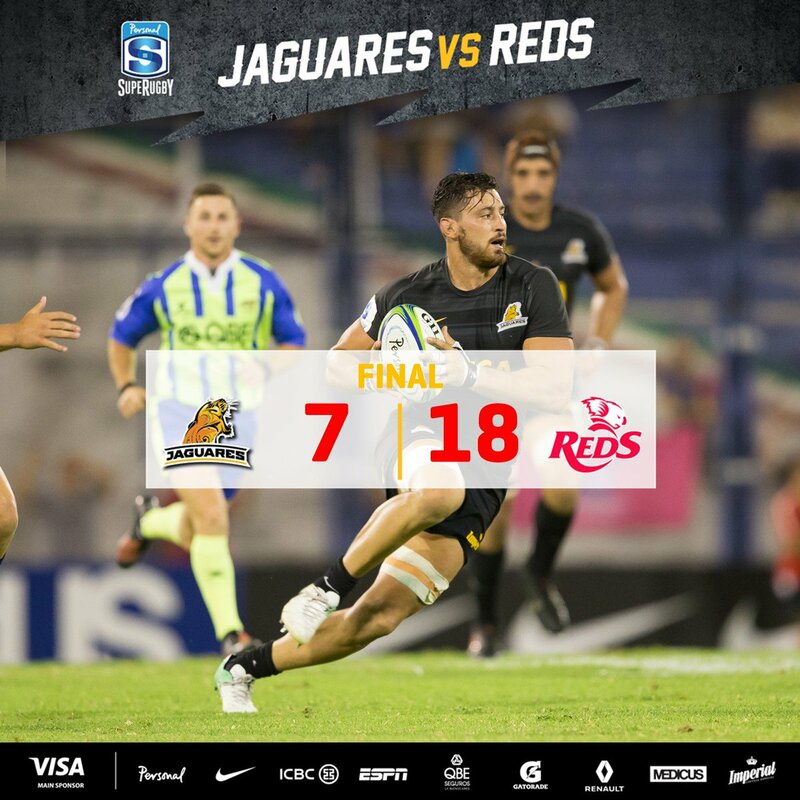 The stats have the Jaguares up to 16 handling errors. Into the last ten minutes of the game. Strong tackling pressure from both sides is causing some errors with the ball. Reds defence very strong but Jaguares think they've got the ball down. Jaguares going for the touch line again desperate for majot points. Ball knocked into touch and the Jaguares have another lineout throw. Big second half to come. Can the hosts fight back for the win at home? 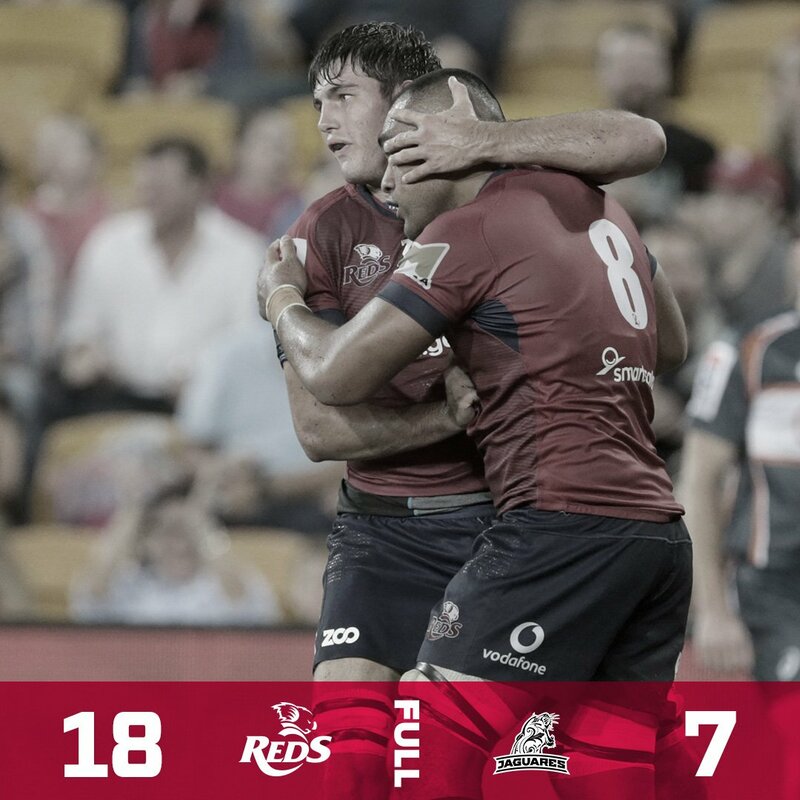 HALF-TIME: The Reds lead the Jaguares 11-7 in a tightly contested first half. Whistle blows for the break. TMO DECISION - how did the ball come loose is the question? Is it a try or a loose carry? NO Try! 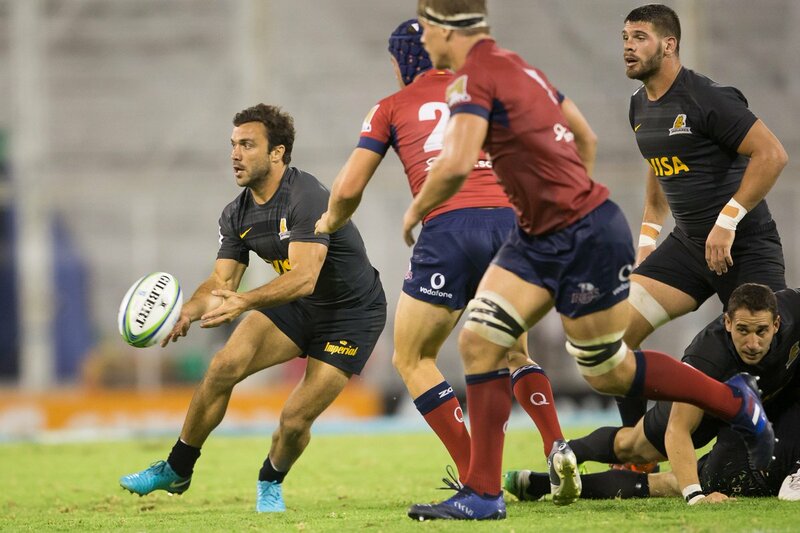 Jaguares desperate to keep the ball alive passing across the field heading for the line. The ball is lost as the player goes over. Reds get to within 10m of the try line and then the whistle blows. Reds win the lineout and are again in attack but the ball is turned over and then lost into touch. Slipper elects for the Reds to attempt early points and kick for a goal. 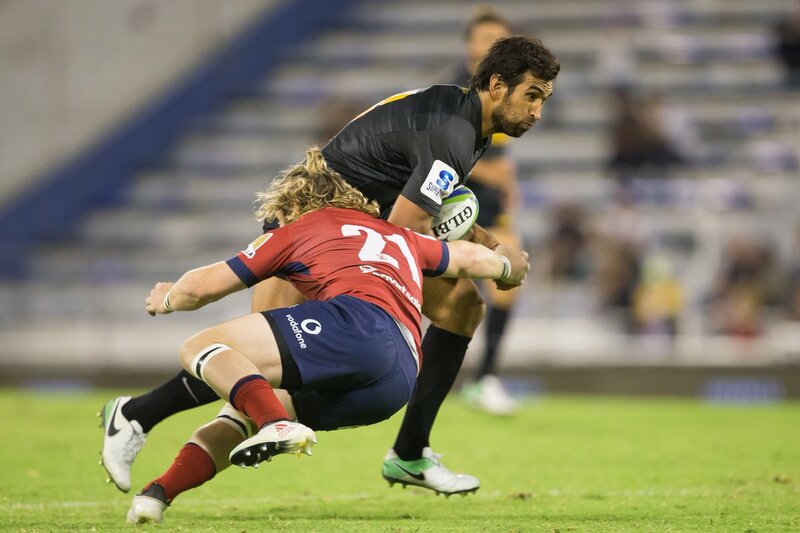 Turnnover - Jaguares into attack and move into the opposition half. The Reds have two wins from three but the Jaguares, with just one from four will be looking for the all important home win. 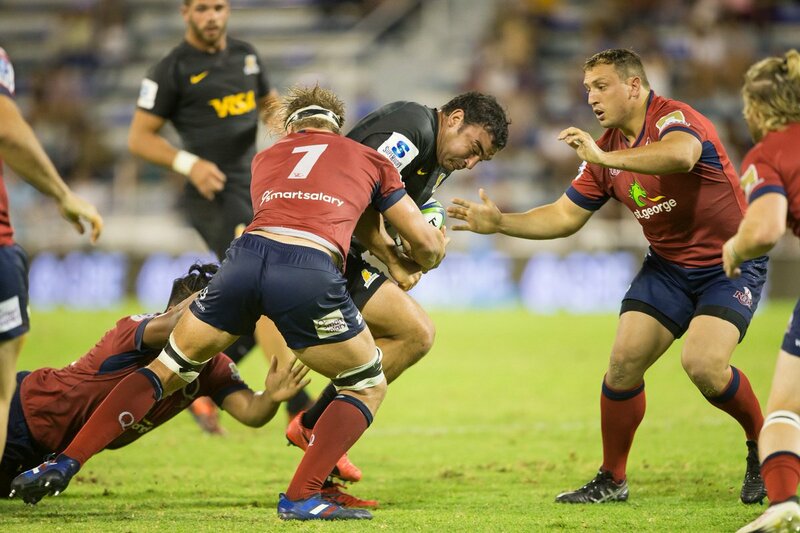 Super Rugby continues from Buenos Aires as the Jaguares take on the Queensland Reds at Estadio Jose Amalfitani. @rosscohamilton If that someone is you Ross send your informed ideas to Ian@rugbypass.com. We're always looking to add to our contributors. 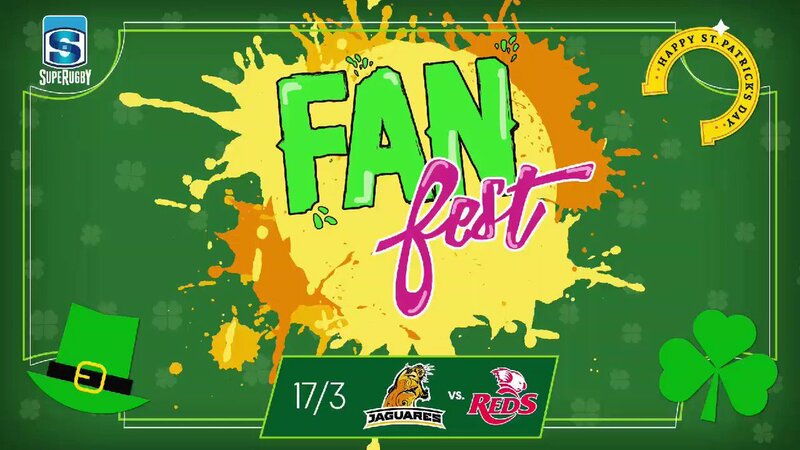 ¡San Patricio también se vivió en el Fan Fest de #JAGvRED! @brad_pivac @scarlets_rugby @staderochelais Nope. Live streaming is only available in 23 countries in Asia at the moment! @brad_pivac @scarlets_rugby @staderochelais Hi Bradley. No, we're not currently available in New Zealand. NEXT GAME | The Reds are heading to Cape Town, South Africa to take on the Stormers. Mario Ledesma: "Ellos fueron sólidos y clínicos". ¡Mirá las mejores fotos del partido entre Jaguares y Reds! No fue try. Hay line a 5 mts para Reds. Hay pedido de TMO por posible try de Jaguares. Juan Pablo Zeiss ingresa por Nahuel Tetaz Chaparro. Julián Montoya ingrsó en lugar de Agustín Creevy. Se retiró Tomás Lavanini. Marcos Kremer pasó a la segunda línea, y Juan Manuel Leguizamón estará como ala.
Intenta pero no puede Jaguares. Todo de Jaguares en estos últimos minutos del partido. A los 59 minutos de juego, los locales buscarán un nuevo line y maul. Fue knock on de Joaquín Tuculet, prácticamente, adentro del ingoal. Ahora, la visita tendrá scrum a favor.